When S and I drove out of Melbourne and up to Brisbane we packed the car full of our worldly belongings and hit the road. We had sent a few things ahead of us – bed, bikes, kitchen table, bookshelves – but otherwise it was whatever we could fit in the backseat. We closed the door to the house we had lived in for the past two years, handed in our keys at the real estate agent, and pointed the car north. For the first few days in our new Queensland house we slept in sleeping bags, had picnic meals on the living room floor, and hung out in camping chairs. Even after our furniture arrived and we’d bought a few more things for the house it was always minimal, sparse. We kind of liked it like that. Now, though, I’m looking around the house and it is overflowing with all kinds of stuff. The floor is covered with a beautiful big rug we bought this winter, my desk is in the lounge room now and it is piled high with papers, the floor is scattered with books that W pulled down from the shelves this afternoon and her toys are strewn everywhere. And the kitchen?! Don’t even get me started on the mess that is the kitchen tonight. It’s funny how stuff accumulates with life. The longer you stay in one place, the more the stuff piles up. Especially so with a kid! Since moving out of home at age eighteen I only ever had what could fit into a share house bedroom, and suddenly I find myself with a lot more. The fuller our house gets though, the more I feel an urge to purge (! ), to get rid of everything that we don’t love or don’t use. In some strange way material possessions seem to have a spiritual weight. I don’t want to trick myself into thinking that home is made up of things. Home isn’t about the trappings. It is wherever I am with S and W (and the new little bean growing in my belly). 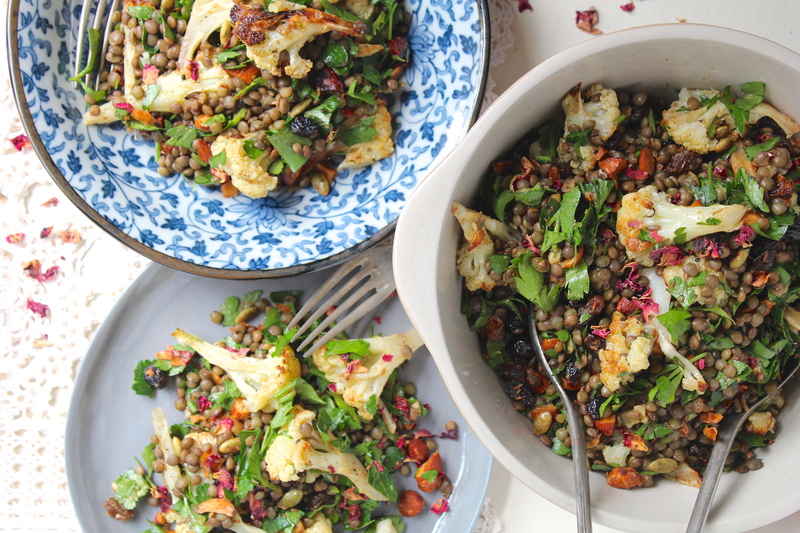 This Roasted Cauliflower & Lentil Salad reminds me of the days when moving house, going overseas, taking spontaneous trips, was par for the course. We ate a lot of lentils back then (mostly coz they were cheap! ), although truth be told my cooking skills have improved no end. 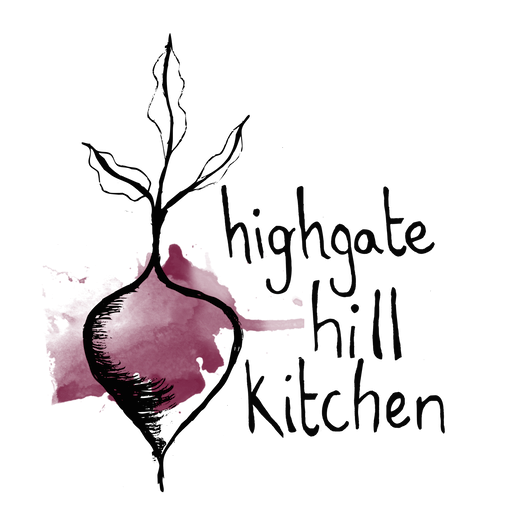 This salad, like those days, is easy to make, robust, full of flavour, and delicious. 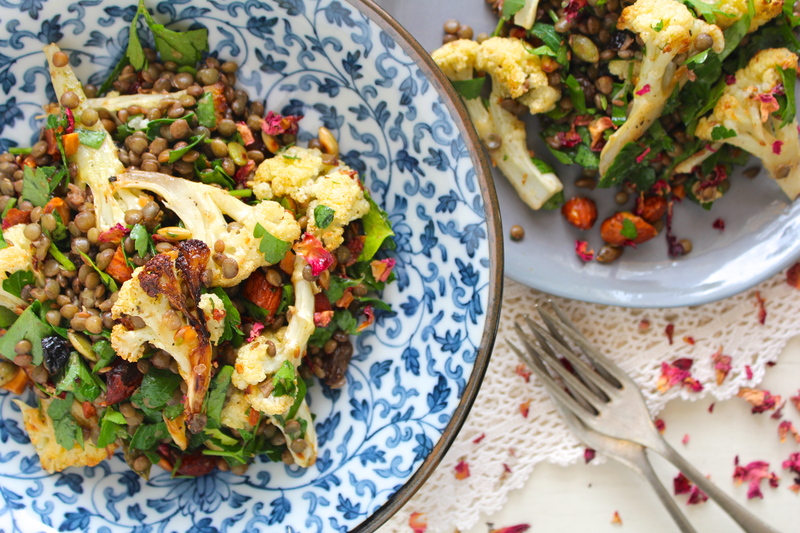 Roasted cauliflower is, in my book, one of the best accompaniments to lentils, and the fruits and nuts keep it all interesting. 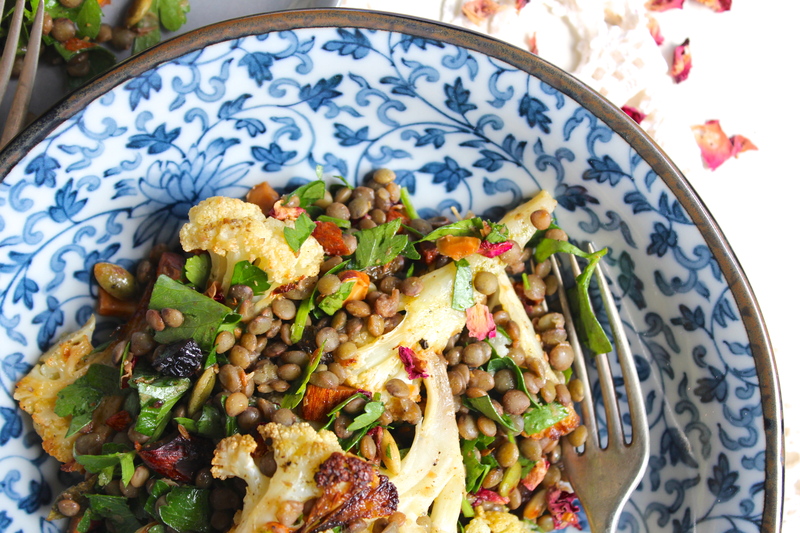 The herbs and dressing give it a Persian twist, and whatever you do, make sure you use puy lentils in this salad. It is good to be reminded every now and then that the only thing tying us down is our own minds. Here’s to the next adventure. Preheat oven to 200°c/400°c. 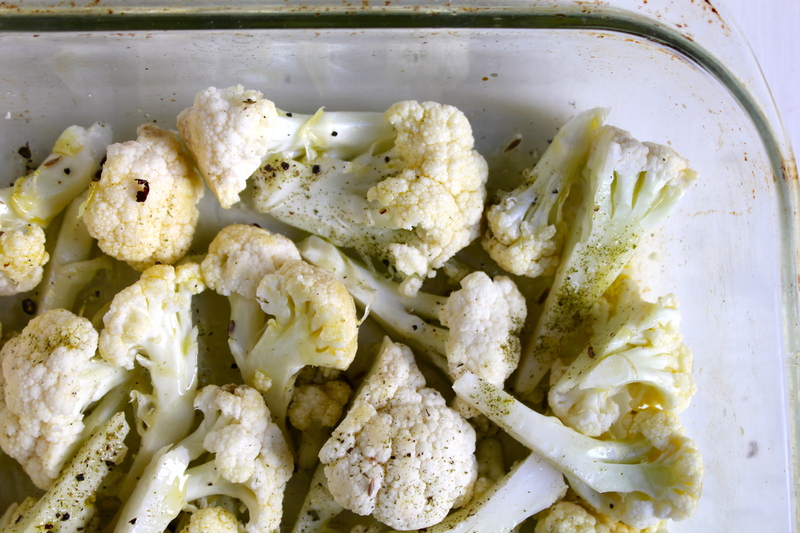 Cut the cauliflower into bite sized florets and toss through with olive oil, one teaspoon of cumin seeds, salt and pepper. Spread out in a single layer on a baking tray and roast in the oven for approx. 40 minutes, until the edges are browned and crispy. 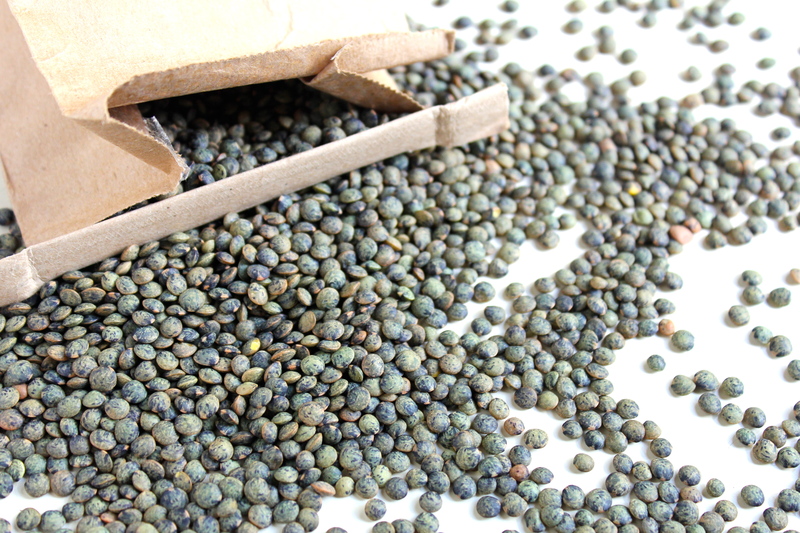 Put the lentils along with two and a half cups of cold water into a pot, cover, and bring to the boil. Turn down to a simmer and cook for 20 – 25 minutes, until the lentils are tender but not mushy. Leave to drain. Dry toast the cumin seeds in a pan until fragrant, just a couple of minutes. Grind in a mortar and pestle. Prepare the dressing by whisking together the juices, spices, ground cumin, oil, syrup, and salt. Chop the parsley and mint, roasted almonds and cranberries. 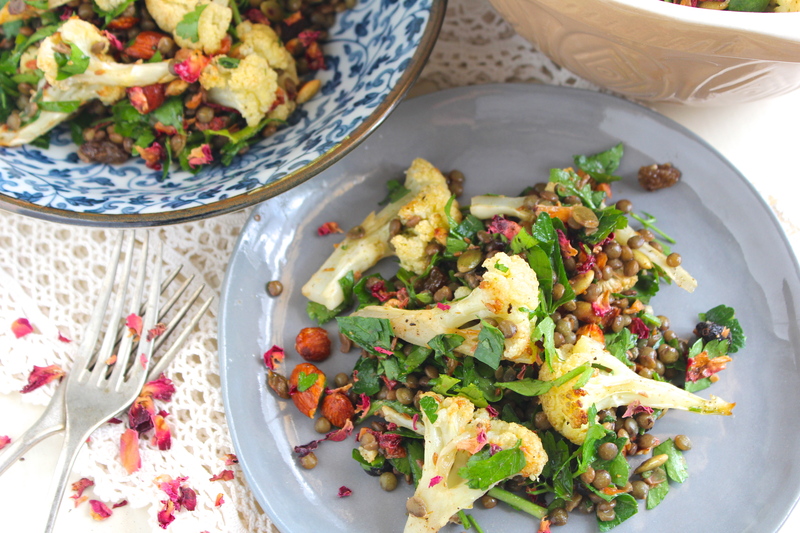 In a large bowl combine the lentils, herbs, nuts, dried fruits, and rose petals (if using). Add the dressing and mix to thoroughly combine. Stir through the cauliflower, and serve! 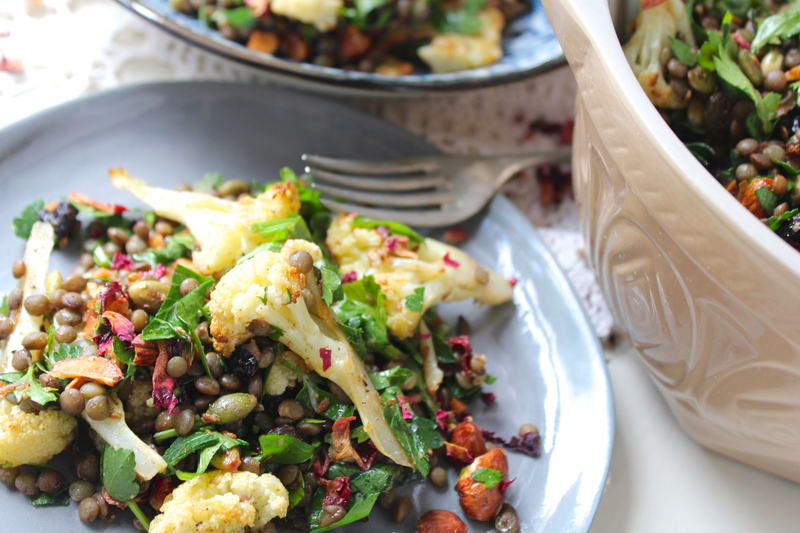 There’s something about a lentil and cauliflower salad that I just can’t get enough of. And I love the Persian twist you’ve given this salad. And yes I can totally relate to feeling the need to purge material things after living somewhere for a few years. My family and I moved a few years ago and I cannot describe how amazing it felt to take bags and bags of stuff to the Goodwill. It was AWESOME! But it is crazy how quickly stuff starts to pile back up! I think it is time for another purge in our house. 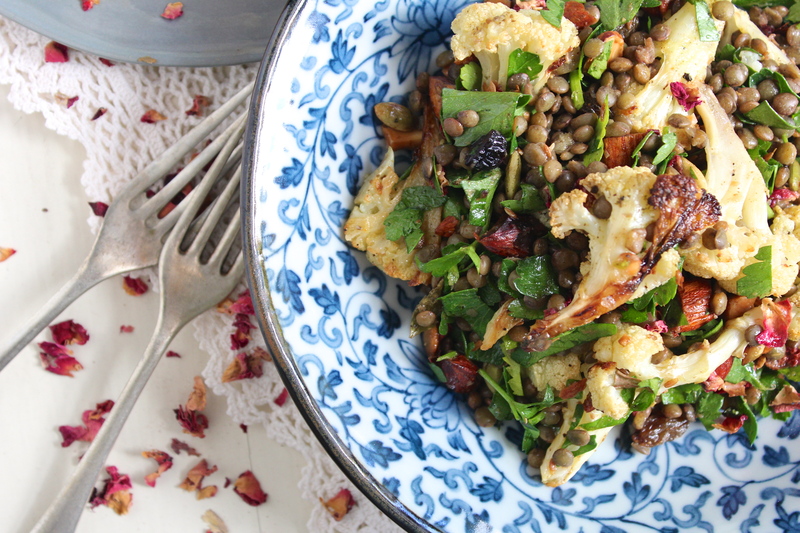 Thanks for the amazing recipe- lentils and roasted cauliflower are two of my favorite things!